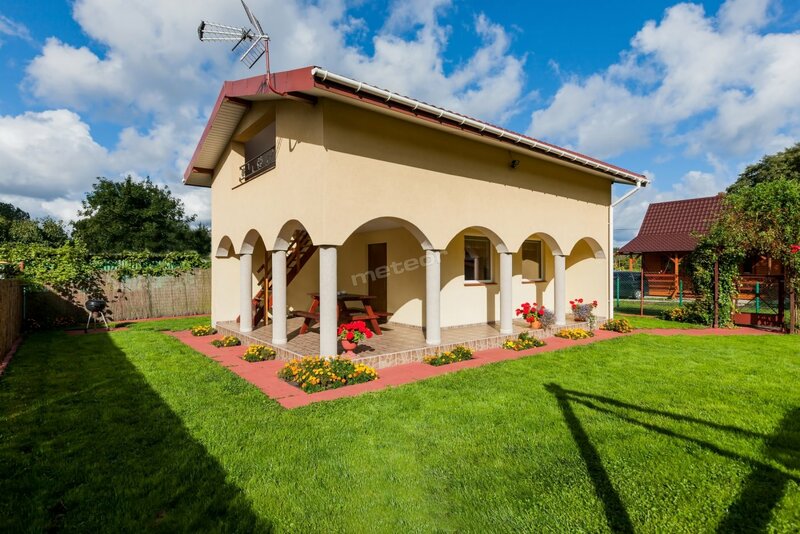 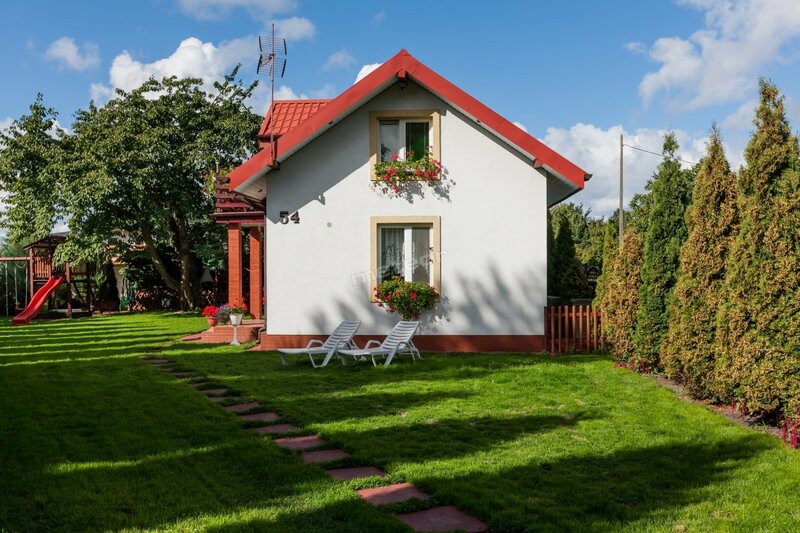 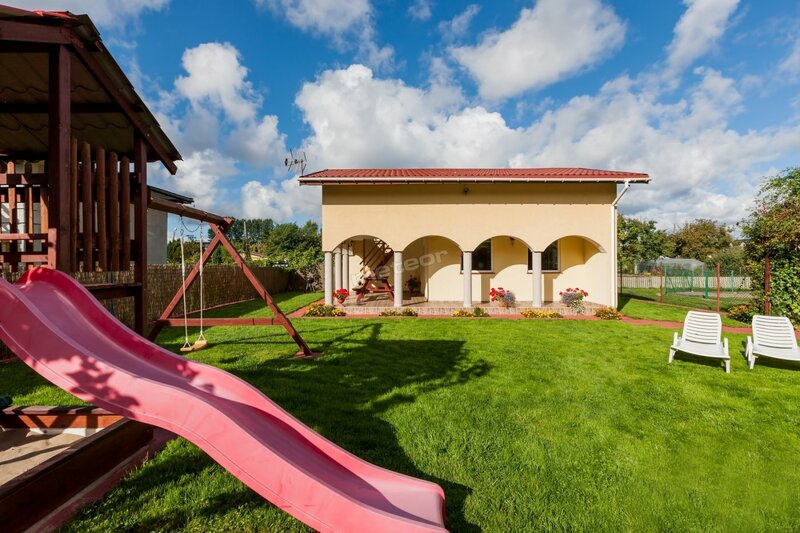 Bungalows: for 6 persons, two-level, brick, with bathrooms and kitchenettes, with terraces. 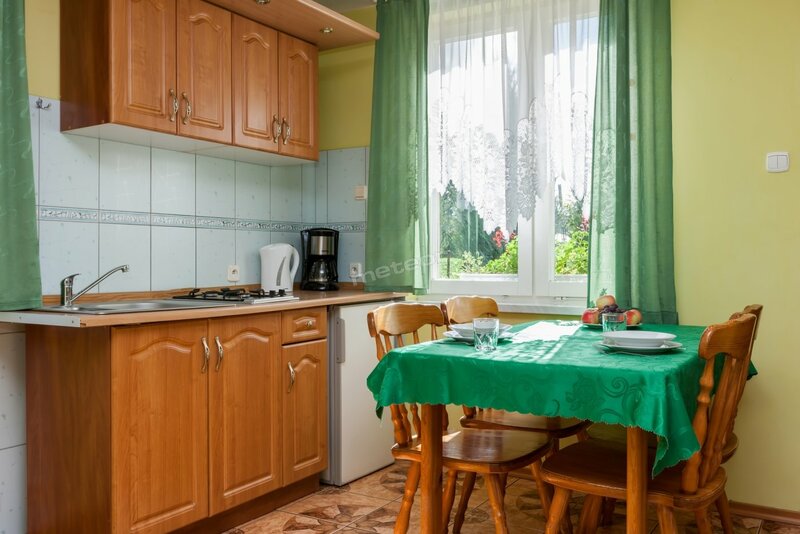 Kitchenette is equipped with: fridge, cooker, cordless kettle, pots, dishes, cutlery. 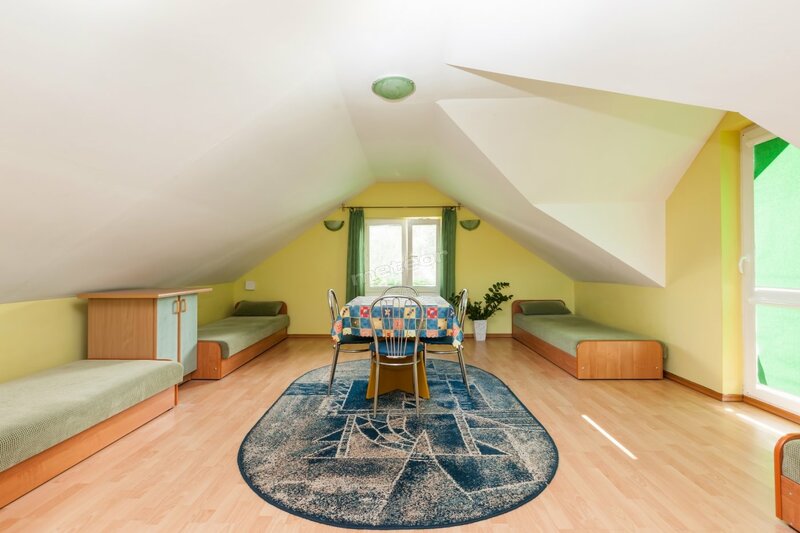 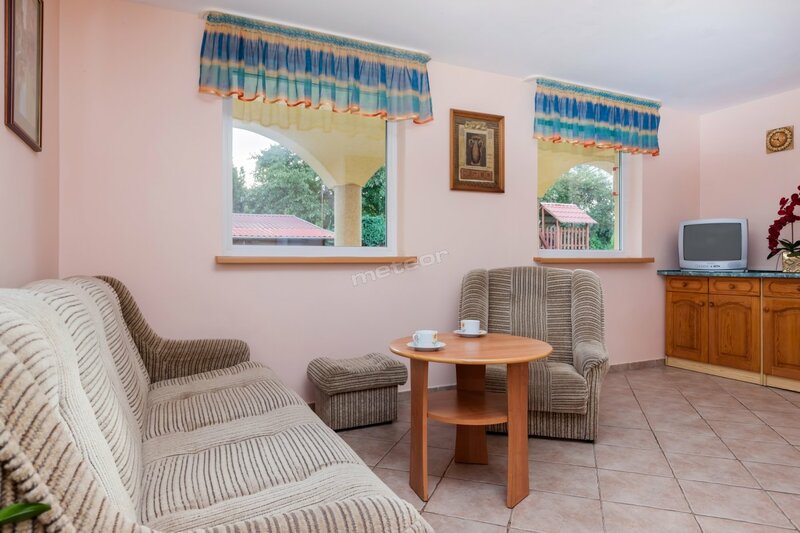 Apartments with 2 rooms, for 6 persons. 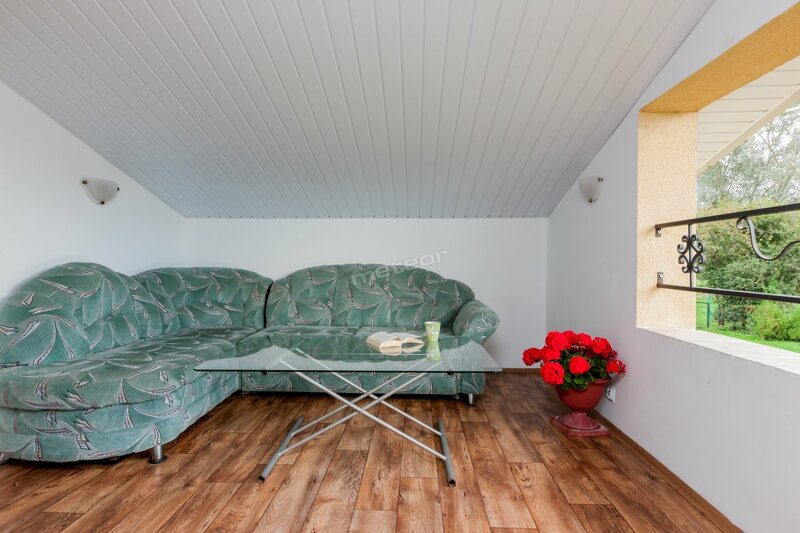 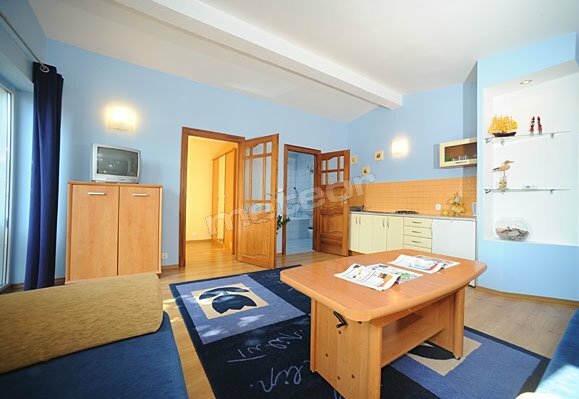 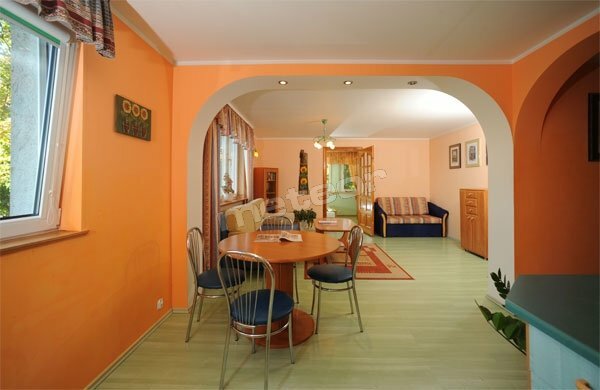 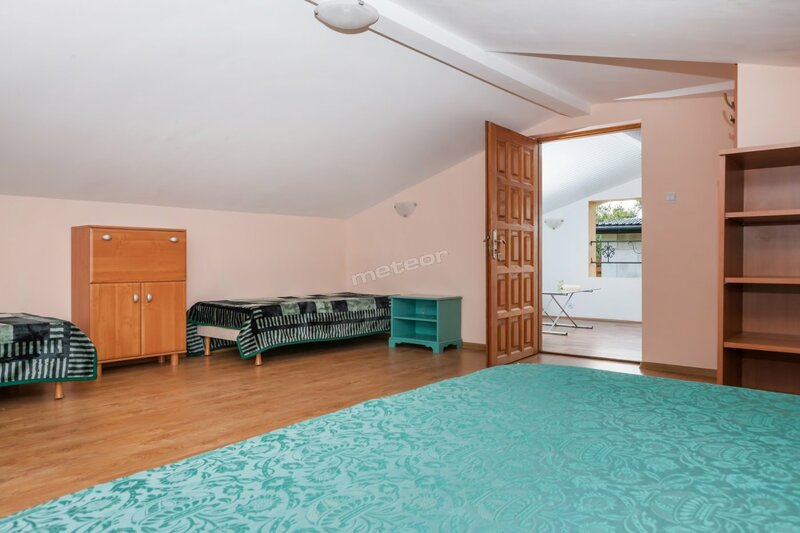 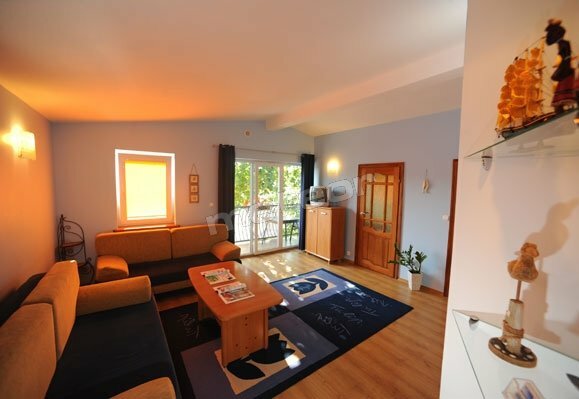 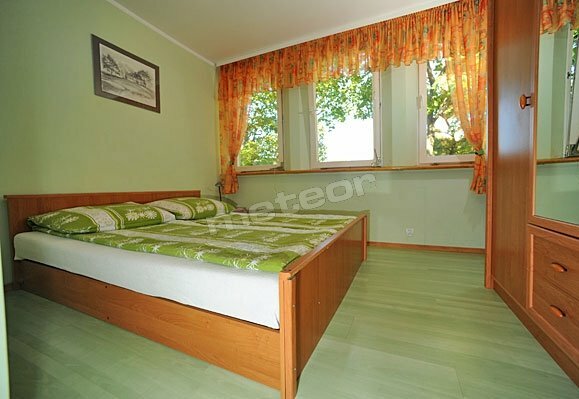 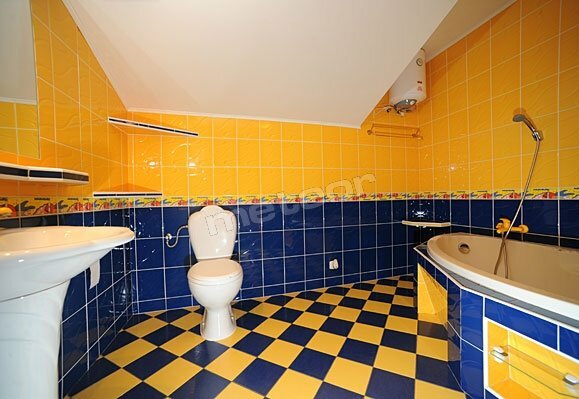 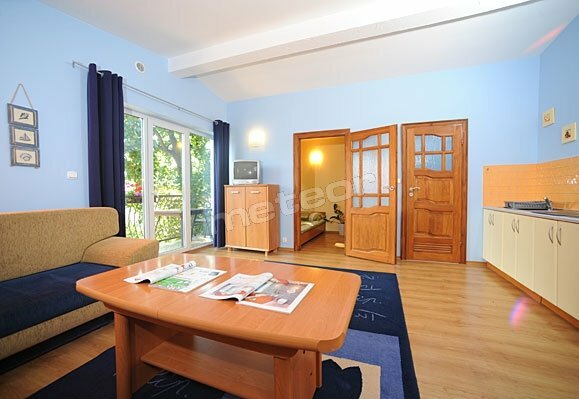 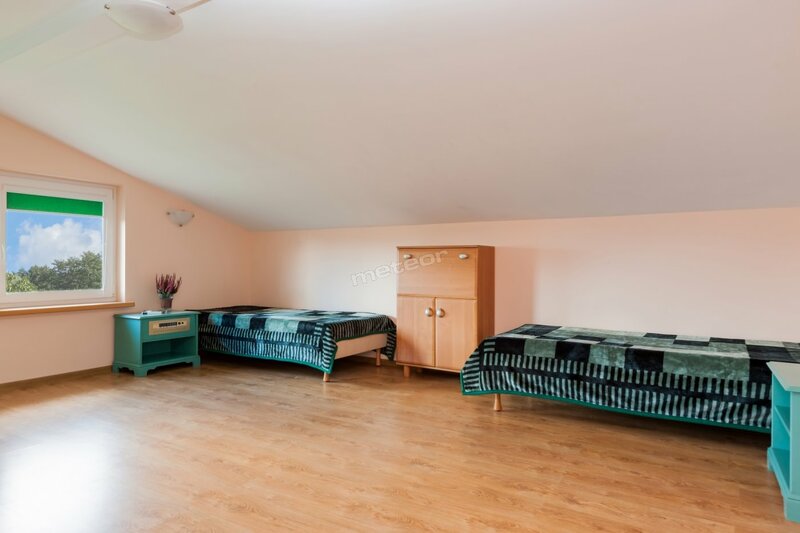 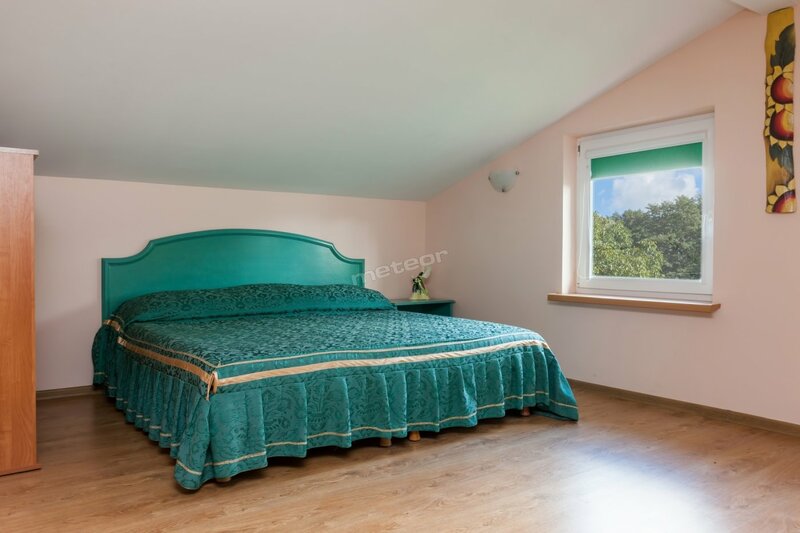 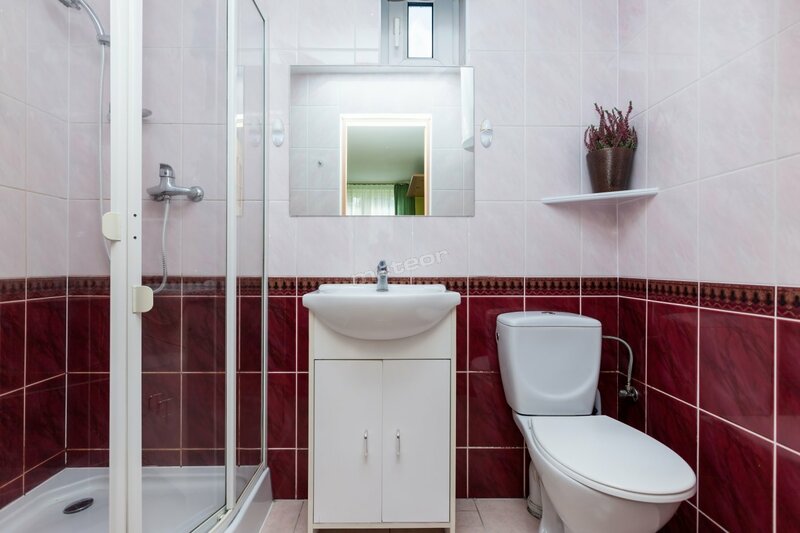 Apartment consists of: bedroom, living-room, fully equipped kitchenette, bathroom. 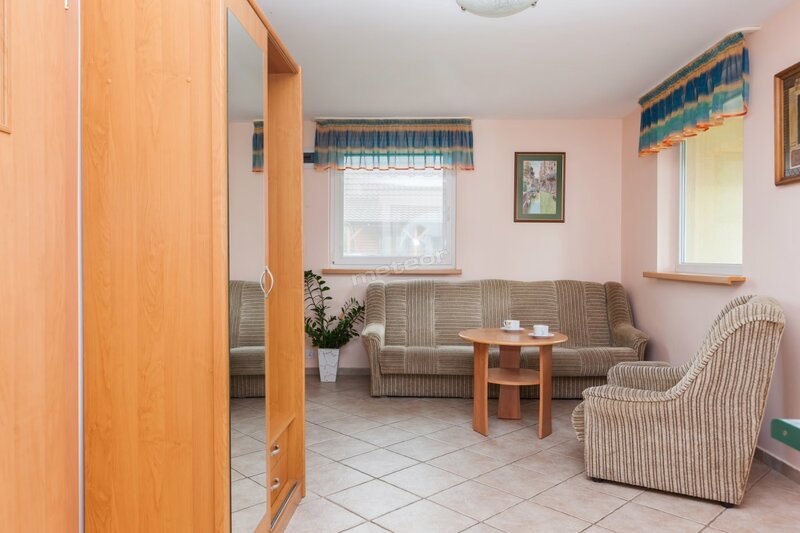 Apartment is equipped with: cable TV, iron, ironing board. 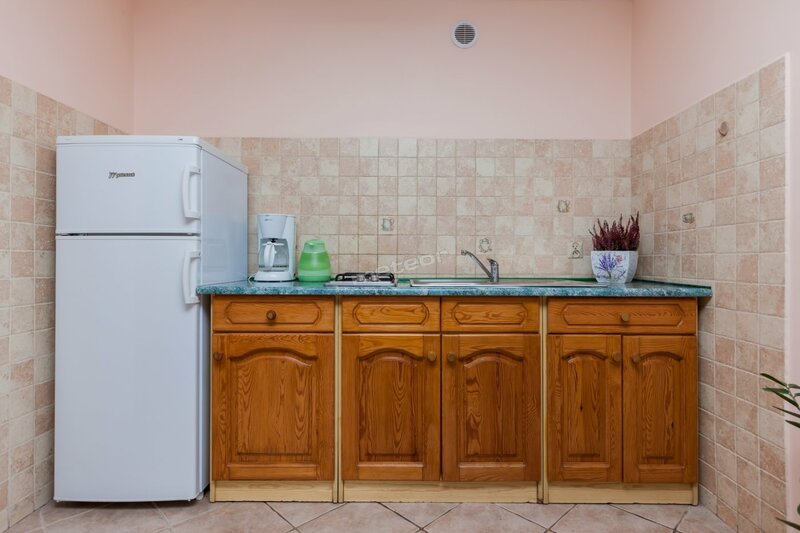 Kitchen is equipped with: coffee maker, pots, dishes, plates, cutlery, frying pans, cooker, glasses. 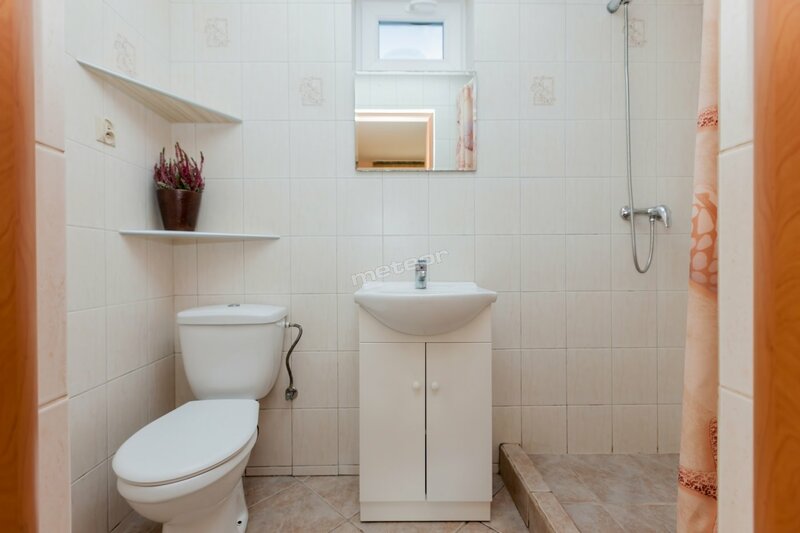 Bathroom is equipped with: bath, hair dryer. 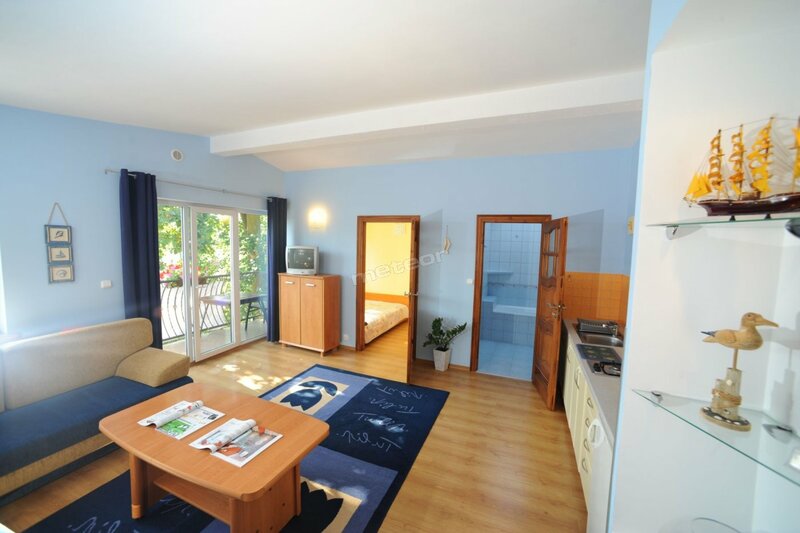 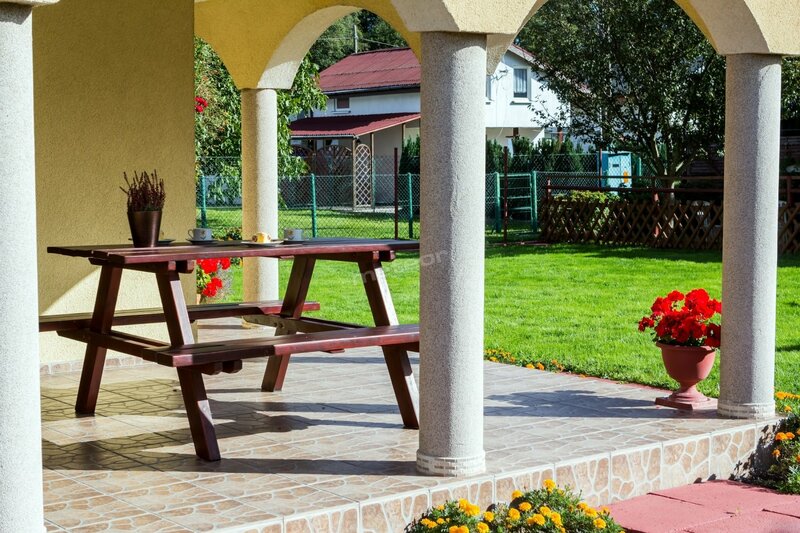 For the active guest: bathing beach, water sports, hiking trails, bicycle paths, rope park. 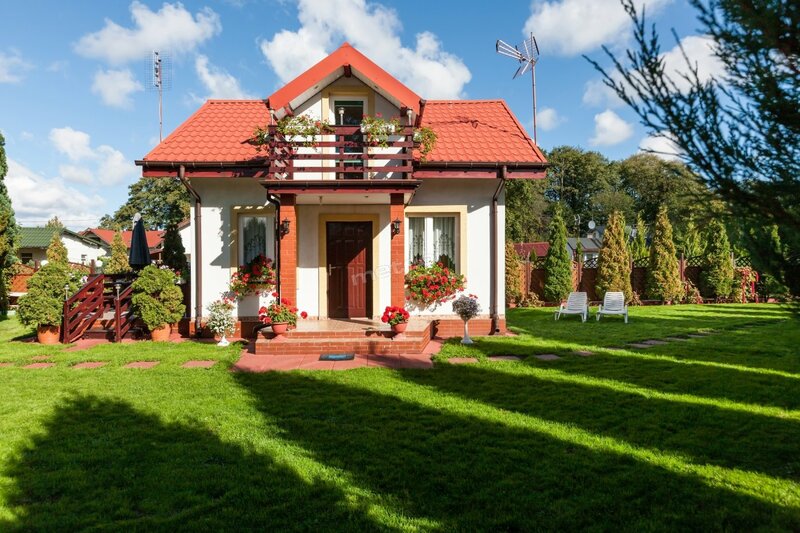 Tourist attractions: architectural monuments, miniature park, museum, Woliński National Park, lighthouse, pier.